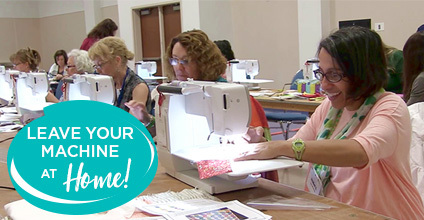 When you register for a hands-on sewing, quilting, serging or embroidery workshop, you'll be seated behind a brand-new machine, generously provided for your use by our sponsors and their local retailers at the Expo. From cute boutiques to your favorite manufacturers, new fabrics, patterns & products will get your creative juices flowing – and sewing! It's a creative new world inside Expo classrooms. Everything changes when you try a new technique or learn a new skill from talented teachers. Creative energy happens LIVE – on stage, in galleries, in classrooms, in the Exhibit Hall. You’ll feel connected with so many enthusiasts! We need people like you to make the Expo an amazing experience for all. 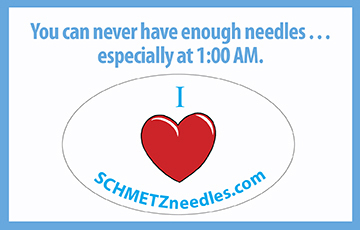 No experience needed...plus you’ll get some great perks! Click for details. 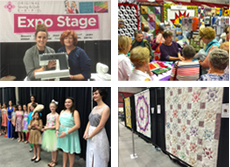 Original Sewing & Quilt Expo is a place to find the latest techniques and products, and learn new skills with cutting-edge education. It’s where the sewing community comes together to encourage and inspire our own individual journeys to wherever the needle will lead.